The new edition of this infertility manual has been fully revised to provide clinicians with the latest advances in the diagnosis and management of infertility. 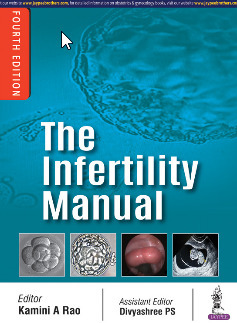 Divided into seven sections, the book provides step by step guidance on each stage of the process, from initial examination and identifying the causes of infertility in both females and males, to ovarian stimulation and assisted reproduction techniques. The final section is dedicated to laboratory management covering topics such as follicular fluid screening and oocyte assessment, culture systems, and cryopreservation. The fourth edition includes new chapters on molecular mechanisms such as endometrial receptivity, and implantation; and current trends such as the embryoscope and assisted hatching. The comprehensive text is further enhanced by case studies, clinical photographs, diagrams, flowcharts and tables.